September 4 (Saturday) is my mothers 76th birthday. I'd love if some of you can send her a card that you've created with "that machine thingy" mom calls the cricut. I'll scan and post any cards she receives here on the blog. She loves Fairies, Angels and has collected dolls of all kinds for years. She also enjoys her little chihuahua Charlie, plants, flowers and 'pretty' things. 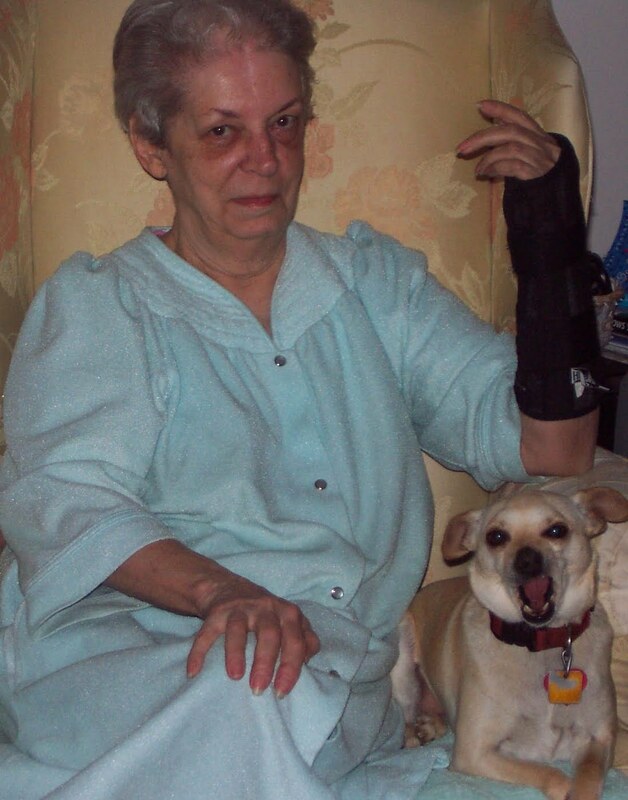 Her name is Barbara Mckenrick and as most of you know she has Parkinson's and my husband and I take care of her so we all live together :) 25 Clara Circle, Glen Burnie MD 21060. Coming later today will be 3 projects and a contest announcement and winner announcement. Also, NINE packages going out in the mail tomorrow morning so those of you expecting prizes - they are signed and sealed and waiting to go to the post office :) You Canadian winners are killin me LOL! Hugs & Chirps! :) What a fun surprise for your mom! My mom passed away when I was ten years old. She would have turned 76 this past Friday....I would love to make your mom a birthday card in honor of her! This is so sweet of you and I know your mom will love it!!! What a fun idea! I'm in. my card will be going in the mail tomorrow :) I must have been under God's guidance when I stoped by to read your blog tonight. I made a birthday card (for no apparent reason) this afternoon to play with my new xyron sticker machine and flocking. And now I know why I wanted to make this card.... Because your mom is very special and should really get a card from someone in Georgia!! (My mom is really my best friend!) Happy Birthday!! thank you all so very much - I hope she gets tons! She'll be so surprised! Did she get a lot of cards? Did she have a great birthday?